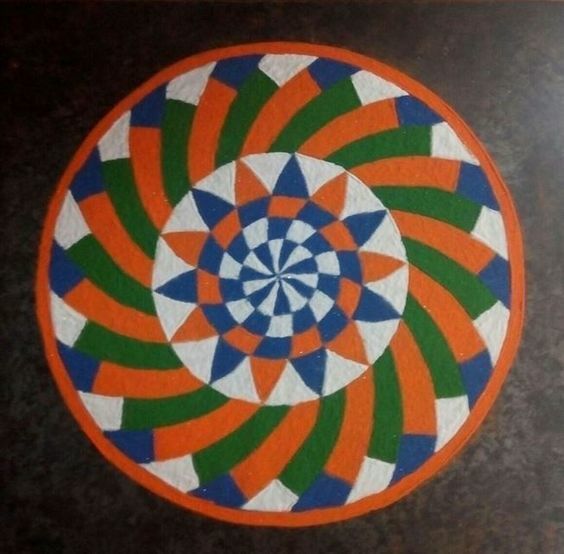 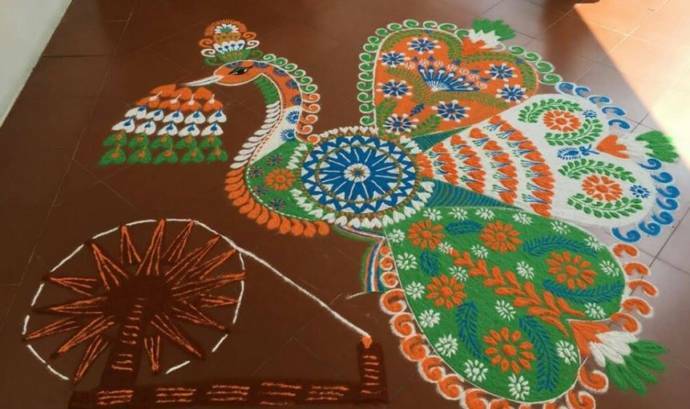 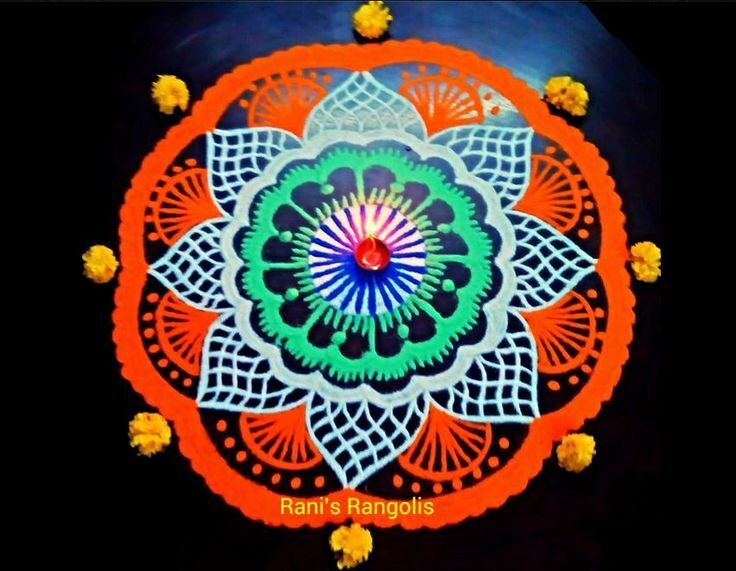 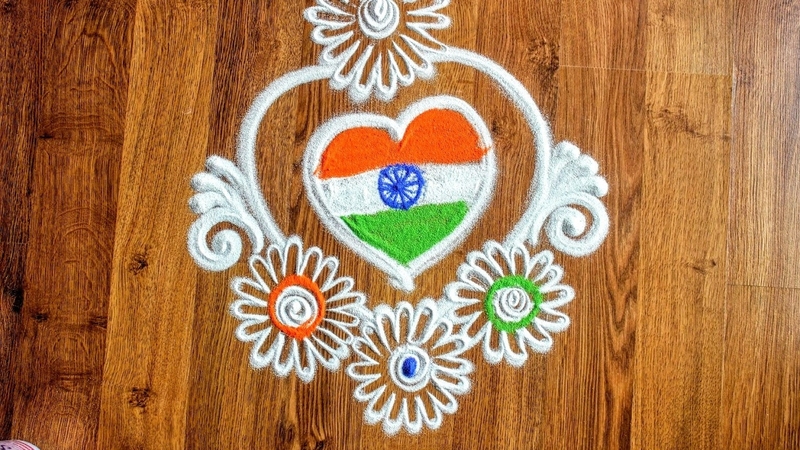 18 Rangoli Designs For 68th Republic Day India - 2017! 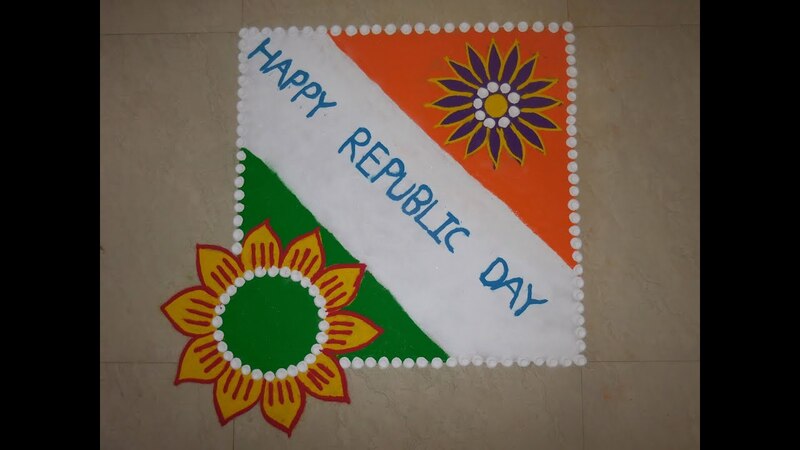 Republic Day in India is celebrated on 26th January, every year. 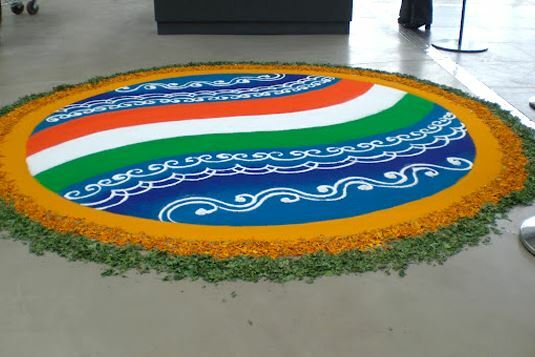 This year, 2017, our Chief Guest is from Abu Dhabi, Sheikh Mohammed Bin Zayed Al Nahyan is also the Deputy Supreme Commander of the UAE Armed Forces and head of the UAE offsets programme bureau & the Abu Dhabi Education Council established in 2005. 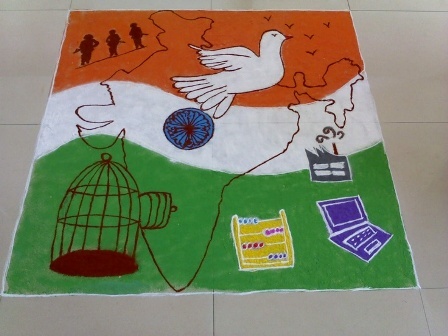 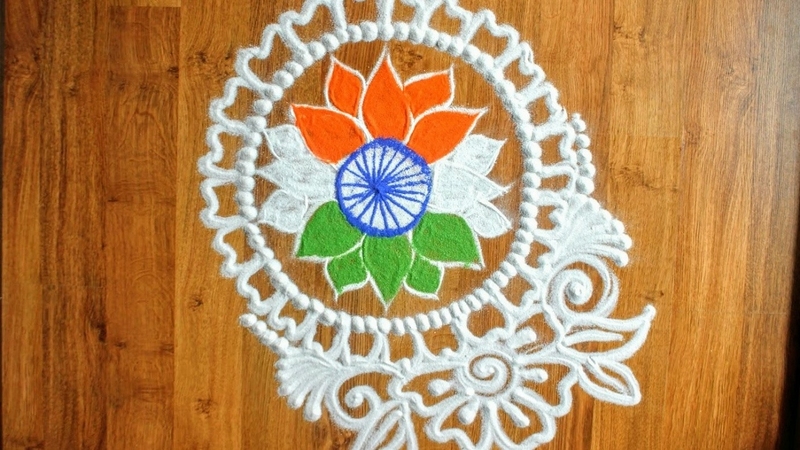 Celebrate our Republic Day With nationalistic Flag Kolams designs in schools and colleges.